Updated Friday February 8, 2019 by Scott Hurt. 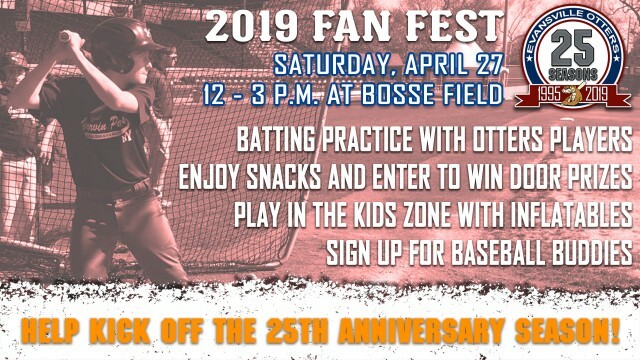 Everyone is invited to help the Evansville Otters celebrate the kick-off to their 25th Season at Fan Fest from 12:00 - 3:00 p.m., Saturday, April 27. And wear your East uniform to show your East pride!